It's a new season in the fashion world and I couldn't be more excited! I love going to the mall and searching through all of my favorite stores to find the perfect pieces for Fall, but I get even more excited when I share my newest collection with all of you! We wrapped our Fall lookbook photo shoot last week and our website is updated with our freshest new styles and photographs for you to shop from! Below are some of my personal favorites from our photo shoot and collection. I love this shot of Shaynee. We went to Gary Point which is a little part of Steveston in Richmond, B.C. Canada. I was lucky enough to spend a large portion of my life living in the area. Steveston and West Richmond hold a special place in my heart and give me so many wonderful memeories of growing up with friends. 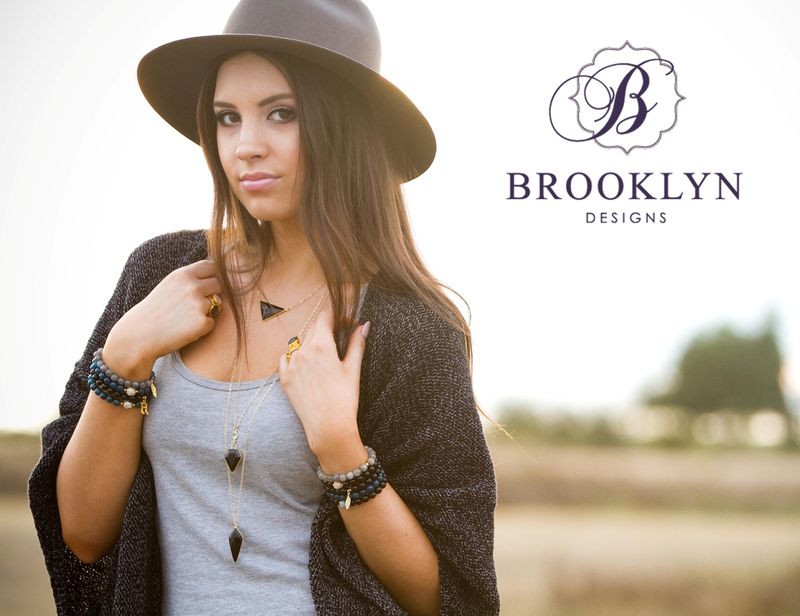 Our gorgeous model Shaynee, is wearing stacks of our stretch gemstone charm bracelets, Black Onyx Illiana Necklace, Cameron Necklace and Juno Necklace (with a 4 inch extender). I styled Shaynee in a long grey maxi tank dress from Forever 21, Comminity Iconic Cape, and her own hat from Urban Outfitters. I love how easy to wear this look is, and that you can completely change the look by switching up your accessories. You could take off the hat, add a belt and a blazer with a great pair of heels for a more sophisticated style. Or you could add a denim vest/jacket and an embellished pair of flat sandals for a cute day look. Our photographer Laura from Magnolia Photgraphic, searched the beach to find some awesome places to shoot and she found some pretty cool things to photograph near. I love how this shot turned out with the bright colours in the background. Lanny (my beautiful cousin) is wearing our Gemma Necklace, Jorja Necklace and our Lauren Lariat. This is such a great shot! Shaynee is wearing our Gemma Collar, Drew Labradorite Necklace and Bailey Aqua Chalcedony Necklace. I loaded her wrists with lots of stretch gemstone charm bracelets and gemstone rings. I love the colour of this chambray shirt from American Eagle too. Follow along with us on INSTAGRAM for behind the scenes pics from our photo shoot and latest collection. We have lots of new designs online for you to shop from and we can't wait to see what you choose. 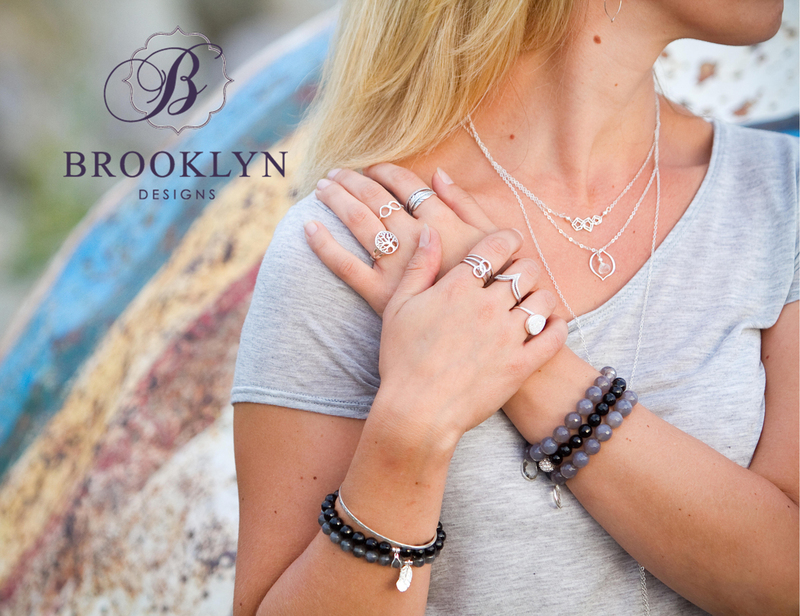 Shop our new Fall Collection now and let us know what your favorite new pieces are in the comments below!